Do you offer artificial grass for lawns? Southwest Greens offers the residents of Atlanta, Georgia artificial grass that is unparalleled in quality and durability. 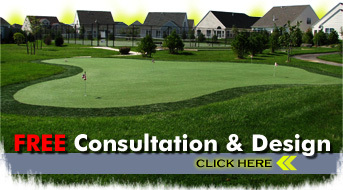 We know that it’s tough to maintain a perfectly green natural sod lawn. Our synthetic turf is ideal for indoor putting greens or for a stunning, realistic looking lawn, can withstand any weather conditions, is easy to install, and requires virtually no maintenance. If you want to upgrade your home or outdoor oasis with a fun entertainment area, we specialize in the custom design and installation of all kinds of residential applications of our high-quality products. Keep your yard pristine year-round with Southwest Greens. With our products, your yard will never have to be mowed, watered or fertilized — only admired. So what are you waiting for? We offer the products that will give you a pristine lawn all year round. Whether for residential or commercial use, our synthetic grass retains the look and feel of real grass — without the costly watering and maintenance. Realize the lawn of your dreams with artificial grass from Southwest Greens. We are proud to provide our customers in Georgia with synthetic grass products they can count on. Give your home the yard it deserves with our high-quality, durable products. 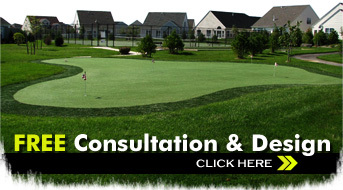 Our synthetic grass is the same material we use on our indoor and outdoor greens. Rest assured that our products stand the test of time regardless of their application or use, and keep your yard green year-round with our synthetic grass.